Prounouns L.1a FLIPCHARTS and worksheets! 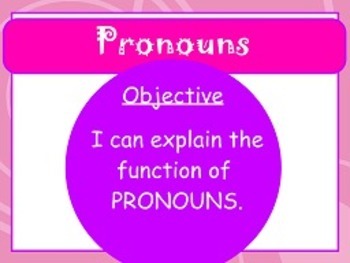 This packet was designed and put together to help the classroom teacher teach and practice the Common Core Standard: 3.L.1a (prounouns) "I can explain the function of pronouns. 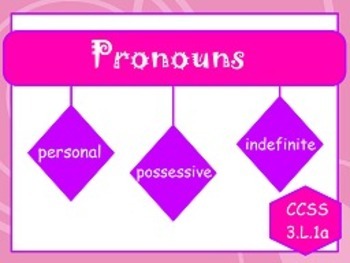 Flipchart 1: Covers the standard by introducing pronouns and defining what they are. Covers: personal, possessive, indefinite. 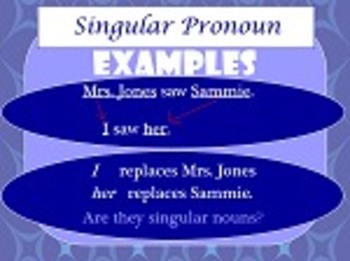 Flipchart 2: Covers the standard with singular pronouns. 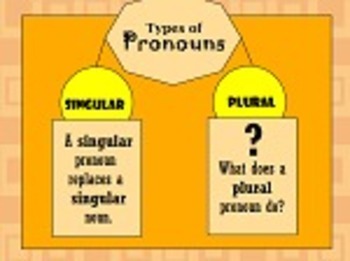 Flipchart 3: Covers the standard with plural pronouns. The homework/practice pages included are both pdf and word documents for your convenience.